This paper describes the simulation scenario design for the next phase of the Inter-Sectoral Impact Model Intercomparison Project (ISIMIP), which is designed to facilitate a contribution to the scientific basis for the IPCC Special Report on the impacts of 1.5 °C global warming. ISIMIP brings together over 80 climate-impact models, covering impacts on hydrology, biomes, forests, heat-related mortality, permafrost, tropical cyclones, fisheries, agiculture, energy, and coastal infrastructure. Through synthesizing multiple inventory data sources, this study developed methods to spatialize the time series plantation forest and tree species distribution data for the conterminous US during 1928–2012. 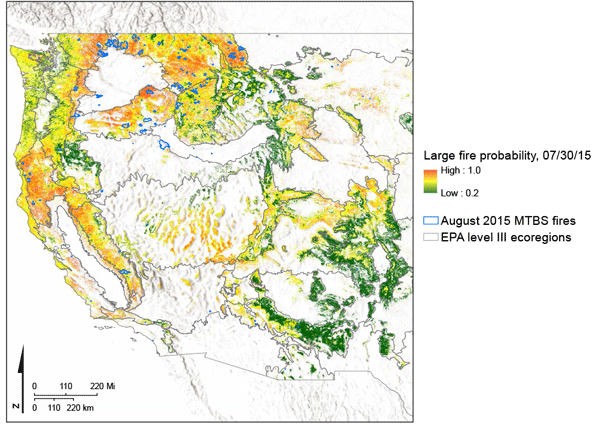 These time series and gridded data set can be readily applied in regional Earth system modeling frameworks for assessing the impacts of plantation management practices on forest productivity, carbon and nitrogen stocks, and greenhouse gas and water fluxes on regional or national scales. In this study we used a state-of-the-science coupled physical–biogeochemical model to simulate and examine temporal and spatial variability of sea surface CO2 concentration in the Gulf of Mexico. Our model revealed the Gulf was a net CO2 sink with a flux of 1.11 ± 0.84 × 1012 mol C yr−1. 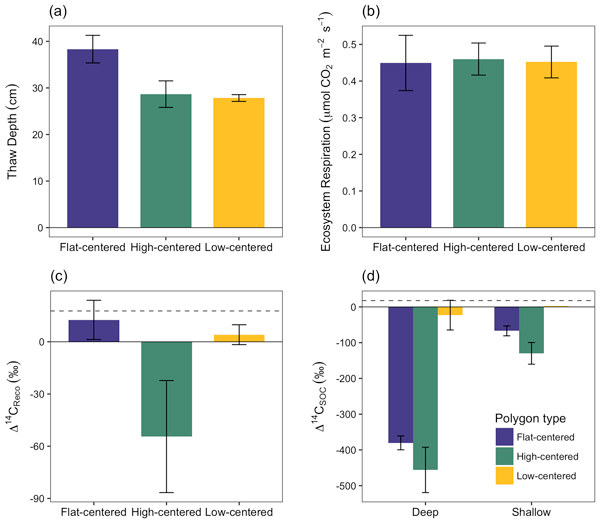 We also found that biological uptake was the primary driver making the Gulf an overall CO2 sink and that the carbon flux in the northern Gulf was very susceptible to changes in river inputs. The CO2 sink strength of a temperate peatland in SE Scotland exhibited large inter-annual variability which was well-correlated to the length of the growing season. Mean winter air temperature explained 87% of the inter-annual variability in the sink strength of the following summer, indicating a phenological memory effect. Autotrophic respiration is thought to be dominant, but heterotrophic processes might have been enhanced during dry spells increasing the loss of CO2 to the atmosphere. Bai, Z., Lee, M. R., Ma, L., Ledgard, S., Oenema, O., Velthof, G. L., Ma, W., Guo, M., Zhao, Z., and Wei, S.: Global environmental costs of China's thirst for milk, Global Change Biol., 24, 2198–2211, https://doi.org/10.1111/gcb.14047, 2018. Bouwman, A., Boumans, L., and Batjes, N.: Estimation of global NH3 volatilization loss from synthetic fertilizers and animal manure applied to arable lands and grasslands, Global Biogeochem. Cy., 16, 1024, https://doi.org/10.1029/2000GB001389, 2002. 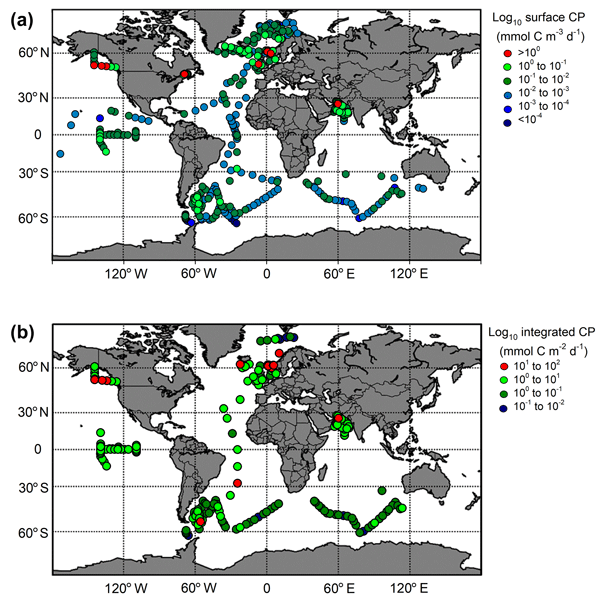 Bouwman, A., Van Drecht, G., Knoop, J., Beusen, A., and Meinardi, C.: Exploring changes in river nitrogen export to the world's oceans, Global Biogeochem. Cy., 19, GB1002, https://doi.org/10.1029/2004GB002314, 2005. Bouwman, A., Beusen, A. H., and Billen, G.: Human alteration of the global nitrogen and phosphorus soil balances for the period 1970–2050, Global Biogeochem. Cy., 23, GB0A04, https://doi.org/10.1029/2009GB003576, 2009. Bouwman, L., Goldewijk, K. K., Van Der Hoek, K. W., Beusen, A. H., Van Vuuren, D. P., Willems, J., Rufino, M. C., and Stehfest, E.: Exploring global changes in nitrogen and phosphorus cycles in agriculture induced by livestock production over the 1900–2050 period, P. Natl. Acad. Sci. USA, 110, 20882–20887, https://doi.org/10.1073/pnas.1012878108, 2013. Breymeyer, A.: Managed grasslands and ecological experience, Ecosyst. The World, 17, 335–350, 1990. Chang, J., Ciais, P., Herrero, M., Havlik, P., Campioli, M., Zhang, X., Bai, Y., Viovy, N., Joiner, J., Wang, X., Peng, S., Yue, C., Piao, S., Wang, T., Hauglustaine, D. A., Soussana, J.-F., Peregon, A., Kosykh, N., and Mironycheva-Tokareva, N.: Combining livestock production information in a process-based vegetation model to reconstruct the history of grassland management, Biogeosciences, 13, 3757–3776, https://doi.org/10.5194/bg-13-3757-2016, 2016. Cleveland, C. C., Townsend, A. R., Schimel, D. S., Fisher, H., Howarth, R. W., Hedin, L. O., Perakis, S. S., Latty, E. F., Von Fischer, J. C., and Elseroad, A.: Global patterns of terrestrial biological nitrogen (N2) fixation in natural ecosystems, Global Biogeochem. Cy., 13, 623–645, https://doi.org/10.1029/1999GB900014, 1999. Dangal, S. R., Tian, H., Zhang, B., Pan, S., Lu, C., and Yang, J.: Methane emission from global livestock sector during 1890–2014: Magnitude, trends and spatiotemporal patterns, Global Change Biol., 23, 4147–4161, https://doi.org/10.1111/gcb.13709, 2017. Davidson, E. A.: The contribution of manure and fertilizer nitrogen to atmospheric nitrous oxide since 1860, Nat. Geosci., 2, 659–662, https://doi.org/10.1038/NGEO608, 2009. Davis, K. F., Yu, K., Herrero, M., Havlik, P., Carr, J. A., and D'Odorico, P.: Historical trade-offs of livestock's environmental impacts, Environ. Res. Lett., 10, 125013, https://doi.org/10.1088/1748-9326/10/12/125013, 2015. Eyring, V., Lamarque, J.-F., Hess, P., Arfeuille, F., Bowman, K., Chipperfiel, M. P., Duncan, B., Fiore, A., Gettelman, A., and Giorgetta, M. A.: Overview of IGAC/SPARC Chemistry-Climate Model Initiative (CCMI) community simulations in support of upcoming ozone and climate assessments, SPARC Newsletter no. 40, WMO-WRCP, Geneva, Switzerland, 48–66, 2013. FAO: Nitrogen inputs to agricultural soils from livestock manure: New statistics, FAO Rome, Italy, 2018. FAOSTAT (Food and Agriculture Organization Corporate Statistical Database): FAO online database, available at: http://www.fao.org/faostat/en/#data (last access: Decmber 2018), 2018, Land Use domain: http://www.fao.org/faostat/en/#data/RL (last access: December 2018); fertilizers by nutrient: http://www.fao.org/faostat/en/#data/RFN (last access: December 2018); livestock manure: http://www.fao.org/faostat/en/#data/EMN (last access: December 2018), 2018. Fowler, D., Coyle, M., Skiba, U., Sutton, M. A., Cape, J. N., Reis, S., Sheppard, L. J., Jenkins, A., Grizzetti, B., and Galloway, J. N.: The global nitrogen cycle in the twenty-first century, Phil. Trans. Royal Soc. B, 368, 20130164, https://doi.org/10.1098/rstb.2013.0164, 2013. Gerber, J. S., Carlson, K. M., Makowski, D., Mueller, N. D., Garcia de Cortazar-Atauri, I., Havlík, P., Herrero, M., Launay, M., O'Connell, C. S., and Smith, P.: Spatially explicit estimates of N2O emissions from croplands suggest climate mitigation opportunities from improved fertilizer management, Global Change Biol., 22, 3383–3394, https://doi.org/10.1111/gcb.13341, 2016. Havlík, P., Valin, H., Herrero, M., Obersteiner, M., Schmid, E., Rufino, M. C., Mosnier, A., Thornton, P. K., Böttcher, H., and Conant, R. T.: Climate change mitigation through livestock system transitions, P. Natl. Acad. Sci. USA, 111, 3709–3714, https://doi.org/10.1073/pnas.1308044111, 2014. Herrero, M., Havlík, P., Valin, H., Notenbaert, A., Rufino, M. C., Thornton, P. K., Blümmel, M., Weiss, F., Grace, D., and Obersteiner, M.: Biomass use, production, feed efficiencies, and greenhouse gas emissions from global livestock systems, P. Natl. Acad. Sci., 110, 20888–20893, https://doi.org/10.1073/pnas.1308149110, 2013. Holland, E., Lee-Taylor, J., Nevison, C., and Sulzman, J.: Global N Cycle: Fluxes and N2O Mixing Ratios Originating from Human Activity. Data Set (Oak Ridge National Laboratory Distributed Active Archive Center, Oak Ridge, TN, 2005). 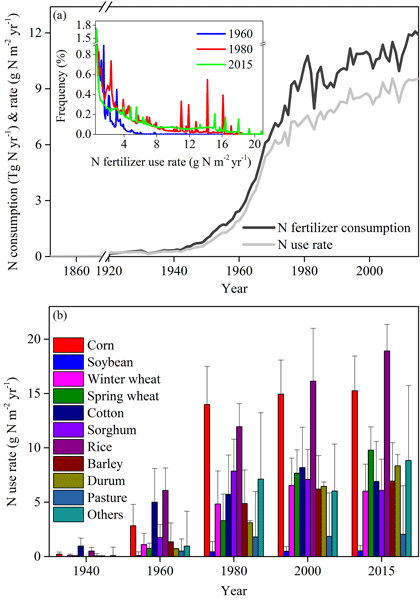 Lassaletta, L., Billen, G., Grizzetti, B., Anglade, J., and Garnier, J.: 50 year trends in nitrogen use efficiency of world cropping systems: the relationship between yield and nitrogen input to cropland, Environ. Res. Lett., 9, 105011, https://doi.org/10.1088/1748-9326/9/10/105011, 2014. Liu, J., You, L., Amini, M., Obersteiner, M., Herrero, M., Zehnder, A. J., and Yang, H.: A high-resolution assessment on global nitrogen flows in cropland, P. Natl. Acad. Sci. USA, 107, 8035–8040, https://doi.org/10.1073/pnas.0913658107, 2010. Lu, C. and Tian, H.: Global nitrogen and phosphorus fertilizer use for agriculture production in the past half century: shifted hot spots and nutrient imbalance, Earth Syst. Sci. Data, 9, 181–192, https://doi.org/10.5194/essd-9-181-2017, 2017. Potter, P., Ramankutty, N., Bennett, E. M., and Donner, S. D.: Characterizing the spatial patterns of global fertilizer application and manure production, Earth Inter., 14, 1–22, https://doi.org/10.1175/2009EI288.1, 2010. Sheldrick, W. F., Syers, J. K., and Lingard, J.: A conceptual model for conducting nutrient audits at national, regional, and global scales, Nut. Cy. Agroecosyst., 62, 61–72, 2002. Smith, P., Bustamante, M., Ahammad, H., Clark, H., Dong, H., Elsiddig, E. A., Haberl, H., Harper, R., House, J., Jafari, M., Masera, O., Mbow, C., Ravindranath, N. H., Rice, C. W., Robledo Abad, C., Romanovskaya, A., Sperling, F., and Tubiello, F.: Agriculture, Forestry and Other Land Use (AFOLU), in: Climate Change 2014: Mitigation of Climate Change. 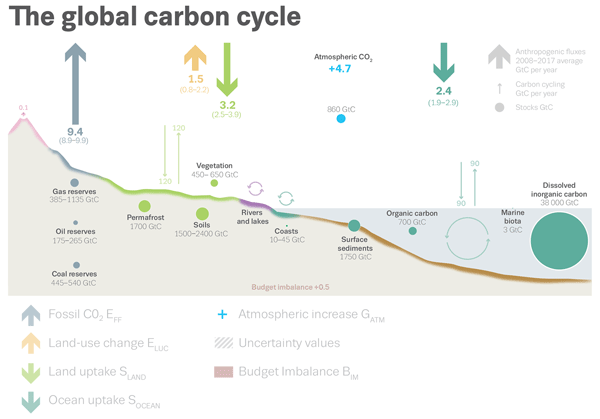 Contribution of Working Group III to the Fifth Assessment Report of the Intergovernmental Panel on Climate Change, edited by: Edenhofer, O., Pichs-Madruga, R., Sokona, Y., Farahani, E., Kadner, S., Seyboth, K., Adler, A., Baum, I., Brunner, S., Eickemeier, P., Kriemann, B., Savolainen, J., Schlömer, S., von Stechow, C., Zwickel, T., and Minx, J. C., Cambridge University Press, Cambridge, United Kingdom and New York, NY, USA, 2014. Stehfest, E. and Bouwman, L.: N2O and NO emission from agricultural fields and soils under natural vegetation: summarizing available measurement data and modeling of global annual emissions, Nut. Cy. Agroecosyst., 74, 207–228, https://doi.org/10.1007/s10705-006-9000-7, 2006. Tian, H., Lu, C., Ciais, P., Michalak, A. M., Canadell, J. G., Saikawa, E., Huntzinger, D. N., Gurney, K. R., Sitch, S., Zhang, B., Yang, J., Bousquet, P., Bruhwiler, L., Chen, G., Dlugokencky, E., Friedlingstein, P., Melillo, J., Pan, S., Poulter, B., Prinn, R., Saunois, M., Schwalm, C. R., and Wofsy, S. C.: The terrestrial biosphere as a net source of greenhouse gases to the atmosphere, Nature, 531, 225–228, https://doi.org/10.1038/nature16946, 2016. Tian, H., Yang, J., Lu, C., Xu, R., Canadell, J. G., Jackson, R., Arneth, A., Chang, J., Chen, G., and Ciais, P., Gerber, S., Ito, A., Huang, Y., Joos, F., Lienert, S., Messina, P., Olin, S., Pan, S., Peng, C., Saikawa, E., Thompson, R., Vuichard, N., Winiwarter, W., Zaehle, S., Zhang, B., Zhang, K., and Zhu, Q.: The global N2O Model Intercomparison Project (NMIP), B. Am. Meteorol. Soc., 99, 1231–1251, https://doi.org/10.1175/BAMS-D-17-0212.1, 2018. Tian, H., Yang, J., Xu, R., Lu, C., Canadell, J. G., Davidson, E. A., Jackson, R. B., Arneth, A., Chang, J., and Ciais, P., Gerber, S., Ito, A., Joos, F., Lienert, S., Messina, P., Olin, S., Pan, S., Peng, C., Saikawa, E., Thompson, R., Vuichard, N., Winiwarter, W., Zaehle, S., and Zhang, B.: Global soil nitrous oxide emissions since the pre-industrial era estimated by an ensemble of Terrestrial Biosphere Models: Magnitude, attribution and uncertainty, Global Change Biol., 25, 640–659, https://doi.org/10.1111/gcb.14514, 2019. Tubiello, F. N.: GHG emissions due to agriculture, Encyclopedia of Food Systems, reference module in food science, Elsevier, https://doi.org/10.1016/B978-0-08-100596-5.21996-3, 2018. Tubiello, F. N., Salvatore, M., Rossi, S., Ferrara, A., Fitton, N., and Smith, P.: The FAOSTAT database of greenhouse gas emissions from agriculture, Environ. Res. Lett., 8, 015009, https://doi.org/10.1088/1748-9326/8/1/015009, 2013. Vitousek, P. M., Menge, D. N., Reed, S. C., and Cleveland, C. C.: Biological nitrogen fixation: rates, patterns and ecological controls in terrestrial ecosystems, Phil. Trans. Roy. Soc. London B, 368, 20130119, https://doi.org/10.1098/rstb.2013.0119, 2013. White, R. P., Murray, S., Rohweder, M., Prince, S., and Thompson, K.: Grassland ecosystems, World Resources Institute Washington, DC, 2000. 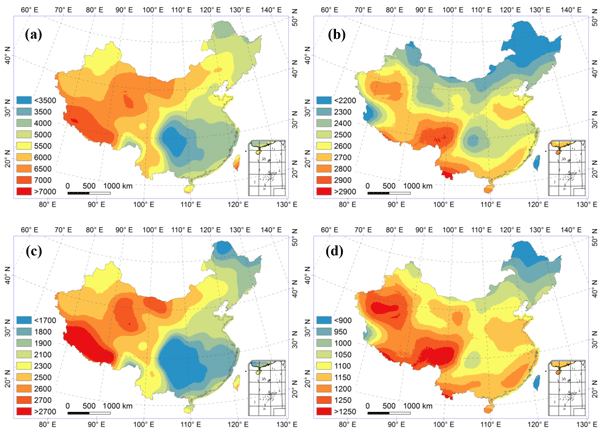 Xu, R., Tian, H., Lu, C., Pan, S., Chen, J., Yang, J., and Zhang, B.: Preindustrial nitrous oxide emissions from the land biosphere estimated by using a global biogeochemistry model, Clim. Past, 13, 977–990, https://doi.org/10.5194/cp-13-977-2017, 2017. Xu, R., Pan, S., Chen, J., Chen, G., Yang, J., Dangal, S., Shepard, J., and Tian, H.: Half-Century Ammonia Emissions From Agricultural Systems in Southern Asia: Magnitude, Spatiotemporal Patterns, and Implications for Human Health, GeoHealth, 2, 40–53, https://doi.org/10.1002/2017GH000098, 2018. Xu, R., Tian, H., Pan, S., Prior, S. A., Feng, Y., Batchelor, W. D., Chen, J., and Yang, J.: Global ammonia emissions from synthetic nitrogen fertilizer applications in agricultural systems: Empirical and process-based estimates and uncertainty, Global Change Biol., 25, 314–326, https://doi.org/10.1111/gcb.14499, 2019. Yang, Q., Tian, H., Li, X., Ren, W., Zhang, B., Zhang, X., and Wolf J.: Spatiotemporal patterns of livestock manure nutrient production in the conterminous United States from 1930 to 2012, Sci. 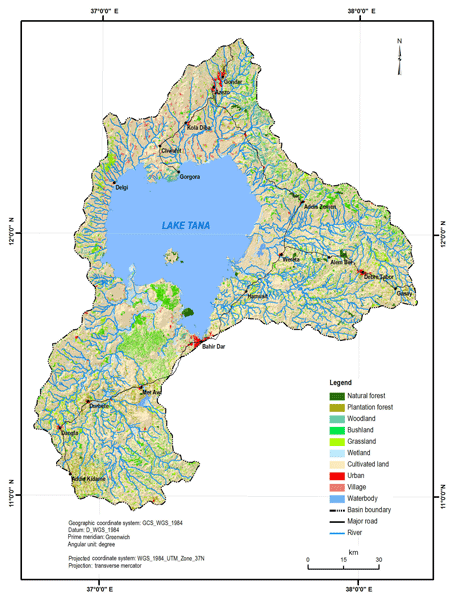 Total Environ., 541, 1592–1602, https://doi.org/10.1016/j.scitotenv.2015.10.044, 2016. Zhang, B., Tian, H., Lu, C., Dangal, S. R. S., Yang, J., and Pan, S.: Global manure nitrogen production and application in cropland during 1860–2014: a 5 arcmin gridded global dataset for Earth system modeling, Earth Syst. Sci. Data, 9, 667–678, https://doi.org/10.5194/essd-9-667-2017, 2017.